You are guided to shine your beautiful being! Sometimes when we look around ourselves, we see everything that goes wrong, we look at our lives, the people around us and somehow we always tend to rermember or think about the less positive incidents of our lives. What about what went right? What about recognising how far you have come? How resilient you are? How prepared you are for the next phase? How faith has brought you through it all? Emerge from the darkness; emerge from the depths of despair, self-doubt and inadequacy. You are a beautiful and unique creation of the Universe. You are a beloved child of God. Whatever you have been through, whatever you have achieved or whatever circumstances you have encountered, they have all prepared you for where you are right now. You drew this card as a sign for you to rise up and believe in who you are. Just as the lotus flower emerges beautifully from the muddy water, so you can emerge and shine! You only need to be yourself, you only need to trust in yourself and the rest will unfold perfectly. The energy and vibration that you reflect out into the world are what you will receive back. If you believe that you are beautiful, unique and that the world needs your gifts and talents, so these will be multiplied back onto you. You will meet people that believe this too, you will attract opportunities that make you shine and you will multiply your gifts and talents. 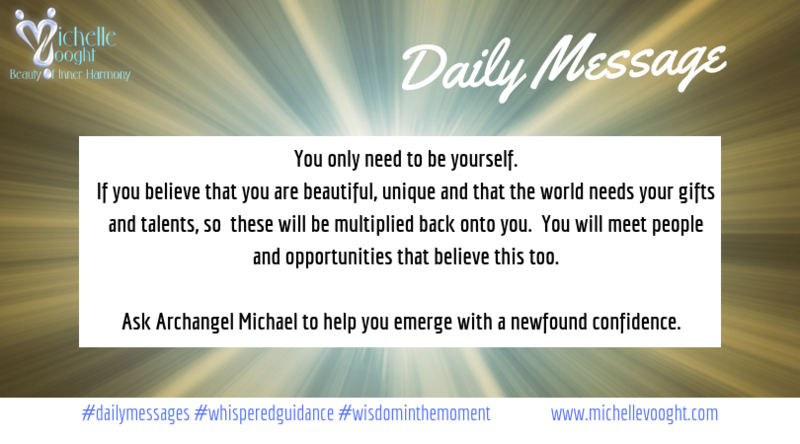 Ask Archangel Michael to help you emerge with a newfound confidence. Go forth and shine your beautiful light, just as you know how.